It is true, since becoming a Domestic Goddess a few years ago I have discovered a fondness for writing and sharing my life stories with the world. On April 30th, 2014 my own life path took a bit of a drastic curve as I was diagnosed with Type II diabetes. To say I was stunned and overwhelmed is a major understatement. I was feeling both of these things plus a whole lot more. Words like seriously (!! ), unreal, unbelievable, and dumbfounded all came to mind. This is one of those stories that I have hemmed and hawed about telling because it’s very personal, and concerns my own health, not one of my family members. However, it is important to me to share this with all of you just in case you have had or are having a similar experience. I am 54 years old and last year I was diagnosed with Type II diabetes (ugh). If you have been a follower of my family stories you know that my youngest son is a Type I diabetic. He has been diabetic since he was 6 and he just turned 24. Diabetes is not a new issue or challenge for me, except now I also have Diabetes of the Type II variety (ugh). The story of how that diagnosis came about is a rather interesting one and it’s the main reason I feel compelled to share this discovery with all of you. In the summer of 2013 I had gotten what I thought was a cut or scrape on my right ankle. It was taking some time to heal, and then it started to get a little itchy. It took me awhile to decide to go to the doctor to get this checked out. What I thought was a simple scrape had turned into a circular sore that was simply not healing 100%. I had been applying Neosporin to this ugly little spot (about the circumference of a small coffee cup), and the first reaction from the doctor was , “Well you must be allergic to the Neosporin”, because of the way it had spread. At that point it was determined that my boo-boo was of the fungal variety (aka ringworm), and that I needed to apply some anti-fungal cream. So I did, and shortly after that visit I saw a dermatologist who also confirmed ringworm, via a biopsy. (ugh-not fun) The spot on my ankle continued to heal so slowly, the itching subsided, and I just “let it go” for a few months. Now we’re into November of 2013, my Mom went to a dermatologist for an annual visit, and she really liked the doctor. She encouraged me to make an appointment to see him since my ankle had still not healed 100%. Of course being the fathead that I am I put off doing anything about it until after the holidays and then some. Now roll around to 2014, and in February of 2014 I finally go to the dermatologist my Mom had seen. He was great. As soon as he saw my ankle he said to me, “That looks like a skin tag.” I reply, “A what?”. A skin tag in my case was a discoloration of the skin where I had the open sore. It was still quite red, and had some occasional itchiness. The dermatologist ordered the necessary blood tests and a second biopsy on the boo-boo site, and it was confirmed that I did indeed have Type II diabetes. (ugh!) I got a referral to a wonderful endocrinologist, and was thankful to know I would be on the road to finally feeling better. At this point knowing that there was something physically “off” for me gave me a sense of relief. I know that may sound strange, but it’s because there was a definitive issue I was dealing with, and I would have continued to fight an uphill battle if I had waited any longer to get my boo-boo checked out. This explained some things for me too. I had been having trouble dropping those extra “holiday pounds” in January of 2014. I was so, so tired all of the time. I blamed the stress and tiredness on the loss of my Dad. Now I know it was diabetes rearing it’s ugly head, and in my case it is genetically manifested. At some point in time diabetes was going to be in my life for a very long time. After my diagnosis the urge to run home and tell my other kids to get tested for any indicators of diabetes was overwhelming. I don’t really remember when I started to actually feel better and more energetic again, but it didn’t take long. All in all so far I’ve dropped about 40 pounds from diet, exercise and getting my metabolism in order. I feel so much better. No sluggishness, not dealing with weight gain, and feeling so much better. Did I say that already? Discovering my diabetes and finding my way towards a healthier lifestyle was an incredibly easy path once I knew what was going on. I wanted to feel better. And I will admit to you all that I was not really paying attention to me, and how I was truly feeling. I was feeling pretty crappy. No energy, could not lose a pound to save my life, and oh so moody which was totally not my character. My life lesson here is do not wait to go the doctor if you’re not feeling right, or if you have a boo-boo that’s taking forever to heal. Listen to your mother (love you Mom!) and take good care of yourself. This post linked to the BlogShareLearn linky party. The opportunity to read and review a book about Type I diabetes came along and I knew I had to sign up right away. My family is no stranger to the in’s and out’s of diabetes and I could not pass up this chance. I am so glad I did not. Madness, Miracles, Millions is the story of a family and their never-ending journey of obstacles, circumstances, and the adversity that they overcame in their every day lives. When their young son is handed a diagnosis of diabetes the Semprevivo’s do not back down. They face the deadly fear of diabetes head on. This is a story so poignantly told by the father and son team of Larry and Joseph Semprevivo. Their family’s road has been filled with peaks and valleys, road blocks, and smooth sailing. The never give up attitude of this entire family and their ability to hit a home run from every curve-ball thrown their way is inspiring. 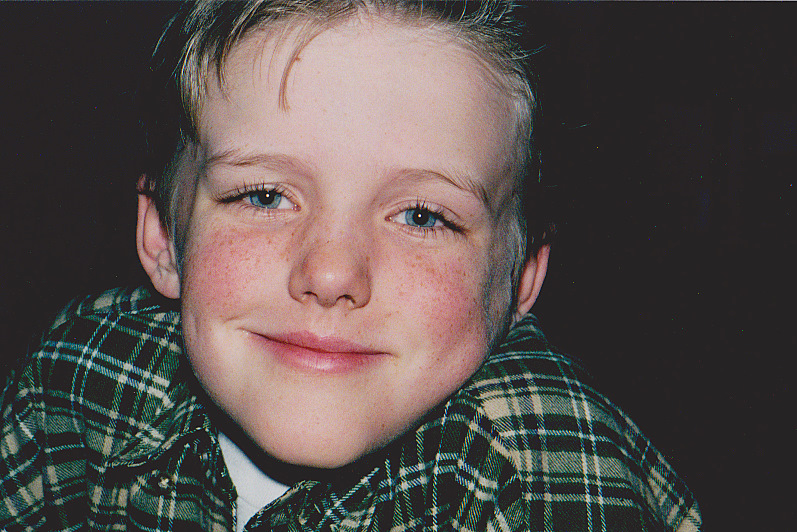 We have lots of experience with Type I diabetes as our youngest son was diagnosed at age 6 in 1997. It is always intriguing to read about how another family has handled a diagnosis of this magnitude. It lets us know that we are not the only ones who have gone through all of this “stuff”. The Semprevivo’s are a unique family, and their love and compassion for one another shines through in each chapter of the story. If you are looking or need to read a feel good story this is a book you will not want to pass up. 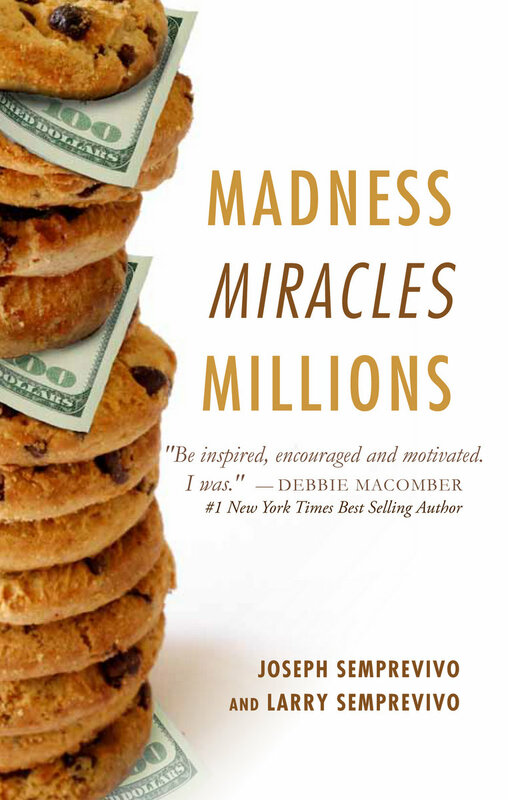 Madness, Miracles, Millions is a well-edited, easy read. It will leave you with a sense of positivity from beginning to end.